The top five countries in terms of smart speaker installed base in 2017 includes the US at 73 per cent, the UK at 10 per cent, Germany at 8 per cent, China at 3 per cent and Canada at 2 per cent. Smart speaker category is growing at an exponential rate. 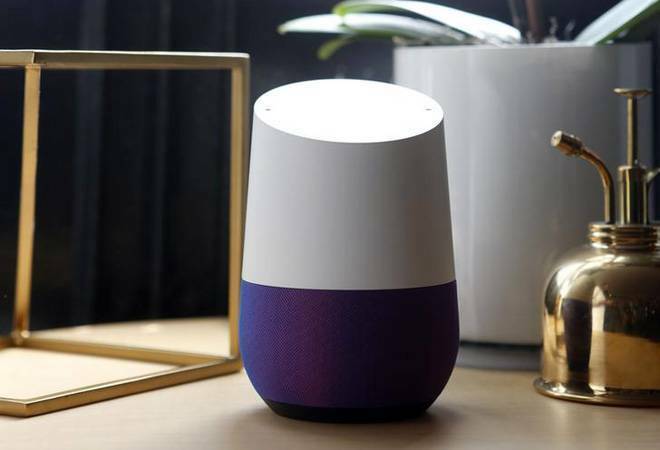 Research firm Canalys expects the smart speaker installed base to reach the 100-million barrier by the end of this year, almost 2.5 times bigger than at the end of 2017. And it would double in size to reach 225 million units by 2020. With Amazon having the first mover advantage and wide range of smart speakers in different price categories, Echo devices are expected to account for over 50 per cent of the installed base in 2018. This will be followed by Google Home devices accounting for 30 per cent, and the recently introduced Apple HomePod accounting for merely 4 per cent. In 2022, both the Amazon Echo and Google Home devices are expected to have 34 per cent market share each, with Apple HomePod expected to grow to 10 per cent and another 21 per cent will be with others. The top five countries in terms of smart speaker installed base in 2017 includes the US at 73 per cent, the UK at 10 per cent, Germany at 8 per cent, China at 3 per cent and Canada at 2 per cent. The forecast for 2018 states that the US will continue to dominate with 64 per cent installed base, with the UK and Germany installed base falling down to 8 per cent and 6 per cent respectively, China installed base increasing to 10 per cent and South Korea joining the league with 3 per cent installed base. "The US is the world leader in smart speaker adoption. Amazon and Google know the power of an ecosystem lock-in and have been engaged in a fierce price war to try and build the largest installed base. Amazon and Google will now take their devices beyond the smart home and deploy them in a range of new scenarios," said Canalys Research Analyst Vincent Thielke. "China is still a nascent market for smart speakers, but it is a sleeping giant. Local players, such as Alibaba and Xiaomi, are investing heavily. In the second half of 2018, sales promotions will be an important driver, as vendors anticipate a surge of shipments during the 6.18 Shopping Festival and Singles Day in November. As competition intensifies, Chinese vendors will expand their product portfolios to hit more price points and offer a greater range of capabilities. But for long-term growth in China, a more complete voice service and better user engagement are just as important. China has massive potential, with more than 450 million households, over three times the number in the US," said Canalys Research Analyst Hattie He. Smart Speakers is a relatively new category with increasing adoption among consumers. First released in 2014, the Amazon Echo devices were launched in India only late last year, followed by Google Home launch in April this year. While Google has an edge with its Google Assistant (capable of understanding Indian accents well), Amazon claimed to have worked on Alexa for over a year and a half before launching it in India. Canalys Analyst Ben Stanton. "Amazon and Google are desperate to prove the scale and reach of their platforms to developers. As the Amazon Alexa and Google Assistant speaker installed bases grow, the companies can make a more compelling case. And as developers invest in voice and try to cash-in on the creation of new experiences, smart speaker adoption will grow."